During the year 2018, Exports from Sri Lanka to Kazakhstan amounted to a total value of Rs. 589.50 million, while the Imports to Sri Lanka from Kazakhstan amounted to a total value of Rs. 698.11 million. This resulted in a negative Bilateral Trade Balance of Rs. -108.61 million for Sri Lanka with Kazakhstan for the year 2018. In comparison, during the year 2017, Exports from Sri Lanka to Kazakhstan amounted to a total value of Rs. 673.11 million, while Imports to Sri Lanka from Kazakhstan amounted to a total value of Rs.1,311.89 million. This resulted in a negative Bilateral Trade Balance of Rs. -638.78 million for Sri Lanka with Kazakhstan for the year 2017. Therefore there has been an increase in the Bilateral Trade surplus of Sri Lanka with Kazakhstan from the year 2017 to the year 2018. 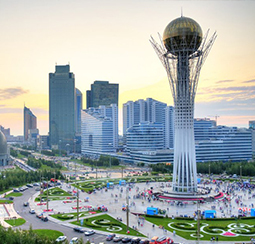 Kazakhstan is a country with a upper middle income Economy.